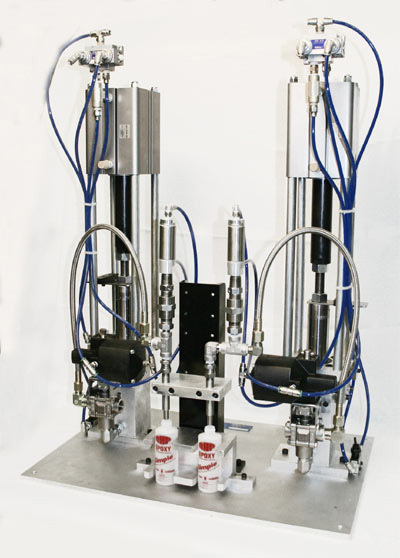 Semi & Fully Automatic Cartridge Filling Systems | J. Dedoes, Inc.
Dedoes can design and build Semi-automatic and fully automatic cartridge filling and plunger setting systems depending on the customer's requirements. 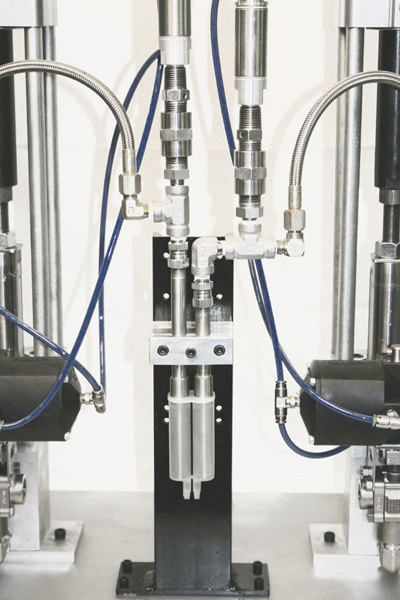 Single component, dual component, low viscosity, high viscosity, high volume fill or low volume fill we can build a quality systems to meet your requirements. 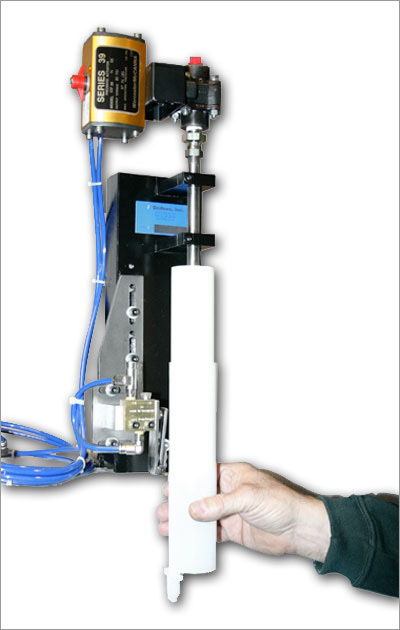 All systems are highly accurate and meet all safety requirements. 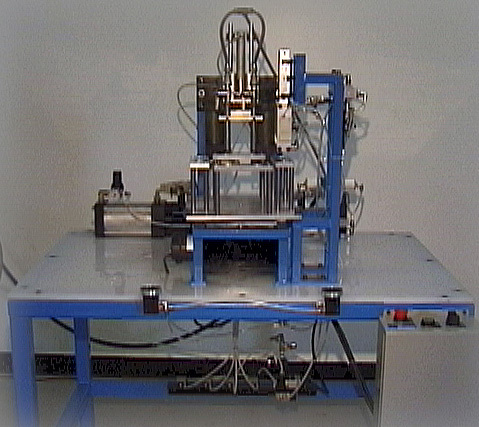 Dedoes two part positive displacement meter fill system with snuff back valves for cartridges. 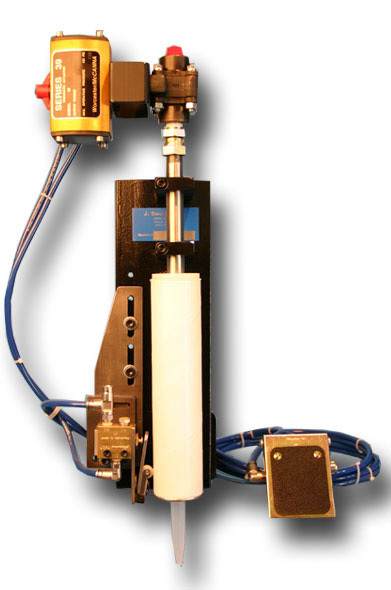 Dedoes two part positive displacement meter fill system with snuff back valves for plastic bottles. Single component, any size cartridge, bench mount, fully adjustable, automatic shut-off. Call for details. The Dedoes automatic rotary filling system can fill as many single or dual cartridges as the operator can load empties and unload filled cartridges.